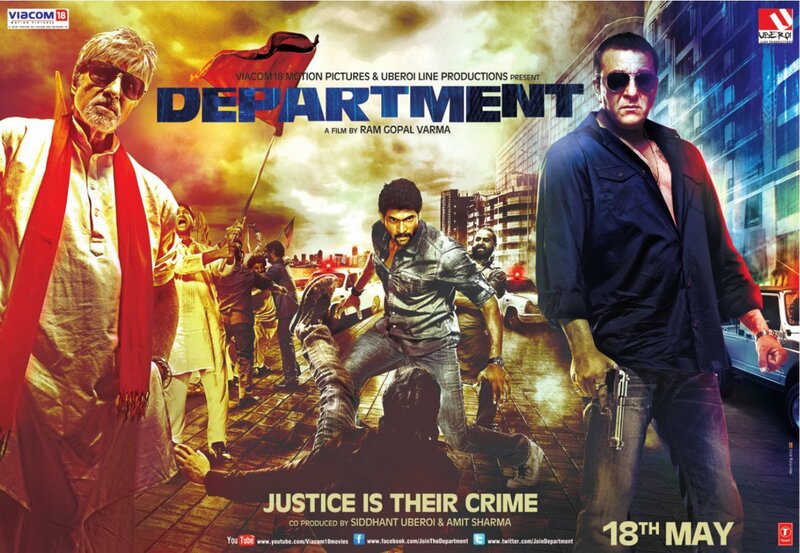 Amitabh Bachchan, Sanjay Dutt, Rana Daggubati, Vijay Raaz, Abhimanyu Singh, Lakshmi Manchu starring Department Movie First Look Wallpapers. Directed Ram Gopal Varma and Produced by Viacom 18 Motion Pictures & Uberoi Line Productions banner. Co-Produced by Siddhant Oberoi and Amit Sharma. RGV’s Department Movie scheduled to release on May 18th 2012.